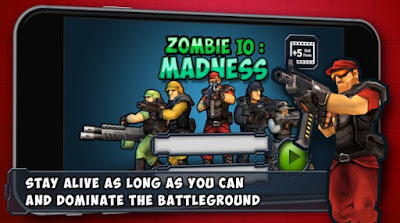 Introduced few days ago and reviewed on our site, Zombie.io Madness quickly conquered both Google Play and App Store. This impressive action game has also conquered us - with its amazing graphics, challenging multiplayer gameplay and overall great storyline that will make you play the game more and more. Let’s see what it is all about. Zombie.io Madness is an action game that can be played with multiple players. In order to save the world from the awful zombies that are walking the face of the earth, you have to be the hero that saves the day! The virus is spreading very quickly so you have to think and react fast before the whole world goes extinct. This online action killing game has a very addictive gameplay. You can either join or host a game, improve your skills and points and reach higher scores! 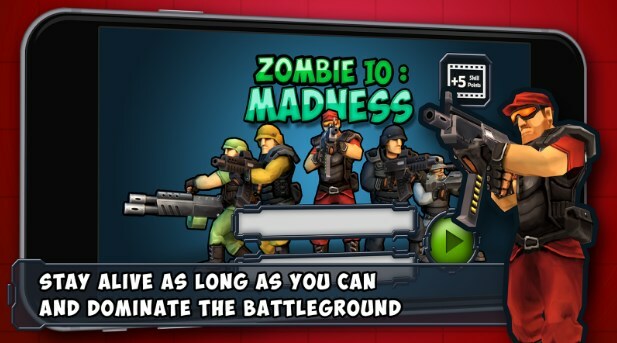 Zombie.io Madness is an online multiplayer IO action shooter game that will definitely have you glued to your phone. You can challenge your friends in this awesome multiplayer game, stay alive as long as you can kill as many zombies which will upgrade your skills. The game has amazing graphics and sounds that will engage you even more in playing! So what are you waiting for – will you be the hero that saves Mother Earth? Download the game for free from the App Store or from Google Play.